Troop 35 had a great time with wreath sales this year! 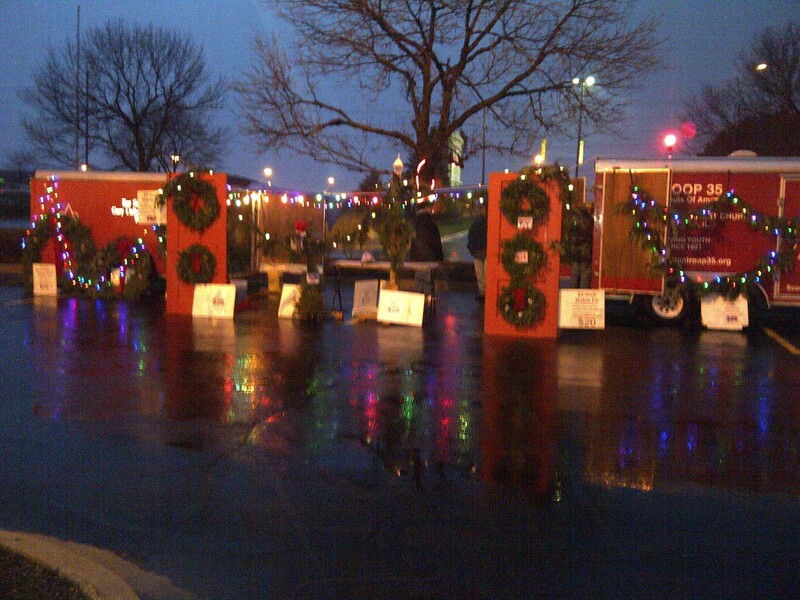 Both locations sold many wreaths, garlands, and above all – holiday cheer. We saw many old friends – customers who rely on our location in Danada East – the Dominick’s Shopping Center and our downtown location at Gary United Methodist Church. All of our scouts had a great time being outdoors in all sorts of weather – rain, sun, wind, cold – even on the same day! We even marched in Wheaton’s downtown parade and had a blast – see for yourself, the pictures are below! We were a hit! We were, after all, the only group that had a tractor, how cool! This entry was posted in Leadership, Recruiting, Scout Values and tagged Christmas Wreaths, Eagle Scouts Troop35, Fundraising, Gary United Methodist Church, scout recuiting, Troop 35, Wheaton Downtown Holiday Parade. Bookmark the permalink.